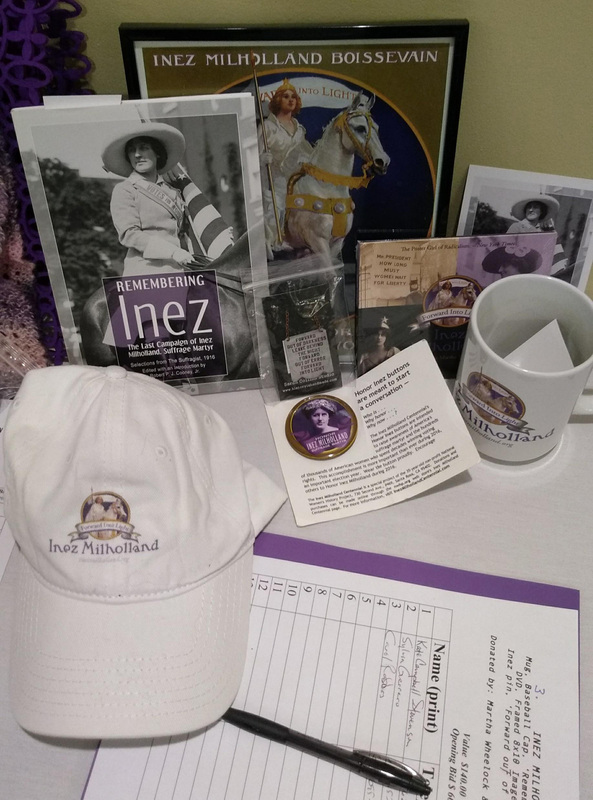 United States suffrage martyr Inez Milholland had a presence at the conference of the Women’s History Alliance in January 2019 when participants from across the nation gathered in California to showcase their special projects and network. Find out more. 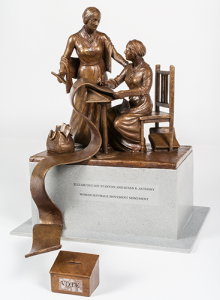 In celebration of the more than 100 years of women voting in New York State, the NYS Museum in Albany, NY is exhibiting a model of the statue of Elizabeth Cady Stanton and Susan B. Anthony. The statue will be unveiled in New York City’s Central Park in 2020, the first statue in the city park to honor women. The fund for the Anthony and Stanton statue model was created in 2013. Meredith Bergmann’s design was chosen in 2018. The working model of the statue will be on display at the state museum through March 31, 2019. The Anthony and Stanton statue is a source of controversy. Others view it as a major step forward in bringing the first wave of the women’s rights movement out of obscurity. 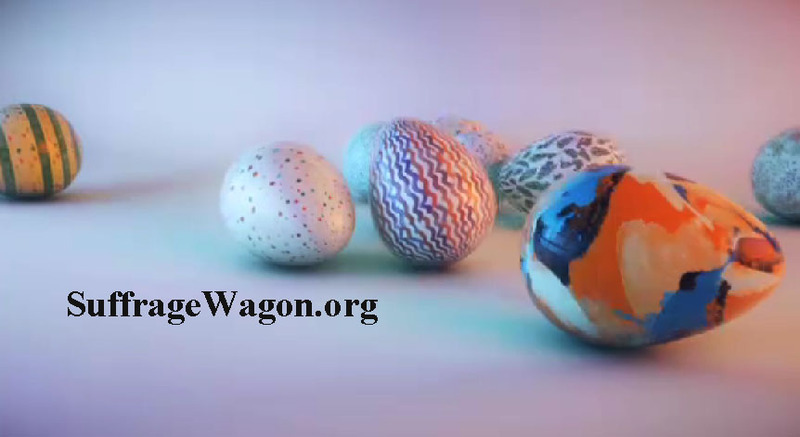 There is a connection between the 50th anniversary of the 1969 Woodstock Festival in 2019 and the “Spirit of 1776” suffrage wagon. Find out more. LetsRockTheCradle.com is a media resource for the 2020 centennial of the ratification of the 19th Amendment to the US Constitution. SuffrageCentennials.com highlights the many events and scheduled programs. The trashing of the women of the first wave is getting boring. Yes, it’s true that they lived in a racist society, but do we need to paint thousands and thousands of women with a single stroke? What about those who put their necks on the line to oppose slavery? What about those who did their best inside of a rotten social system? Do they get trashed too? And what about today? Is it any different? Thanks. Will go and see the model of the Central Park statue at the New York State Museum.